Are you looking for a reliable and highly recommended drain service company in Toronto and GTA? Tired from unprofessional drains services or high prices? We Offer the Quality Drain Services in Toronto and GTA! We are a team of licensed plumbers highly experienced not only in snaking and clearing clogged drains, but also in the whole process of repairing and replacing of drainage systems. We employ some of the best Toronto plumbers who are then trained and consistently updated with the latest techniques, which keeps us one step ahead of all the plumbing companies in Toronto and GTA. Also we use the latest detection and repair equipment which increase the quality of our workmanship provided. We are experts when it comes to cleaning and maintaining sewer and drain pipes. This is just one of the reasons why we are often regarded as offering the most cost-effective and professional plumbing services in Toronto and GTA. We approach every job with one goal, and that is to not only fix the problem you are having but to ensure that you do not need to face this problem again. We consider simply fixing the problem not being enough as experts; we believe it is our responsibility to ensure that you never have to bother with this problem again, which will save you money in the long run. 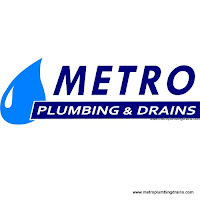 When hiring Metro Plumbing and Drains for your problem you can be sure that you are hiring absolutely the best company in this field. We are not satisfied if you are not 100% satisfied!